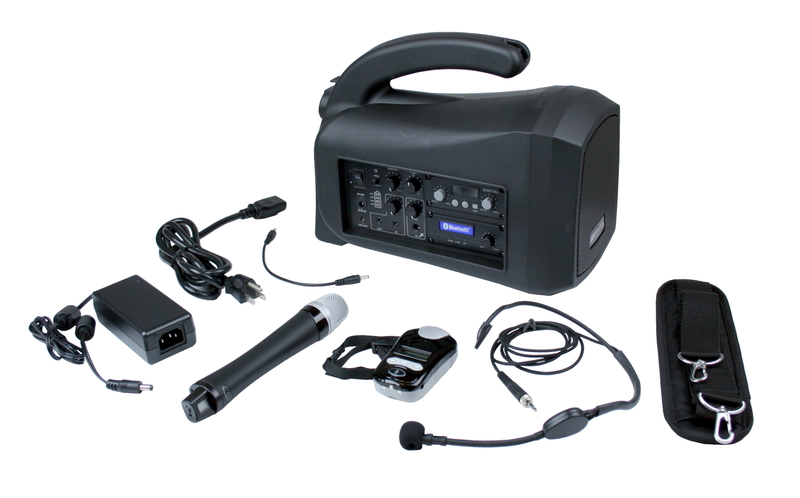 Compact portable PA system, includes wireless handheld microphone. 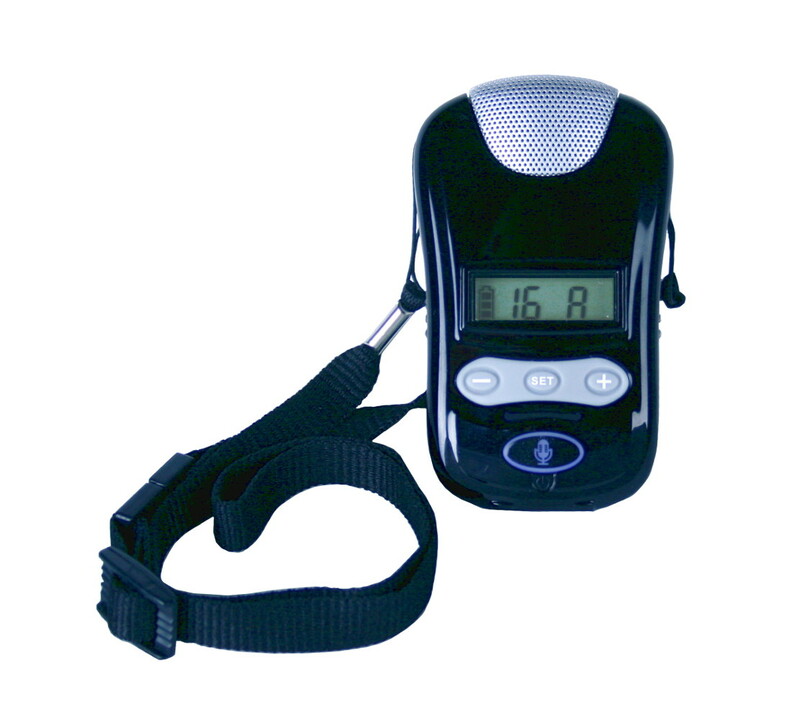 Lightweight with ergonomic comfort grip handle and shoulder strap. 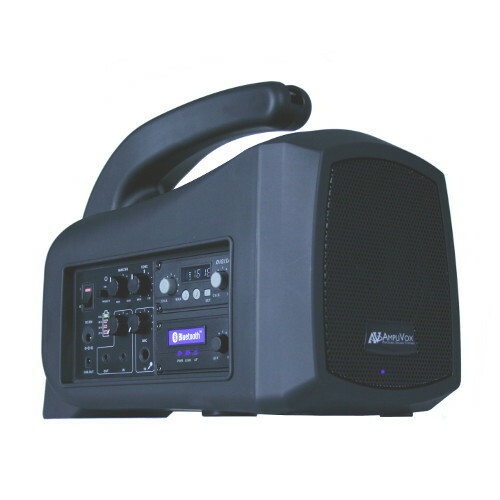 Side panel allows access to wireless receivers, Bluetooth® & volume controls. Handle contains charging / storage compartment for handheld wireless mic. 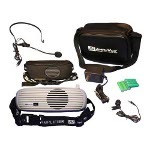 SW312 / SW322 model includes Lavalier / Bodypack Wireless Microphone. 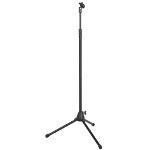 Set it on a tripod to use for powerful and clear sound. SW320 includes handheld wireless mic, shoulder strap and AC power cord. 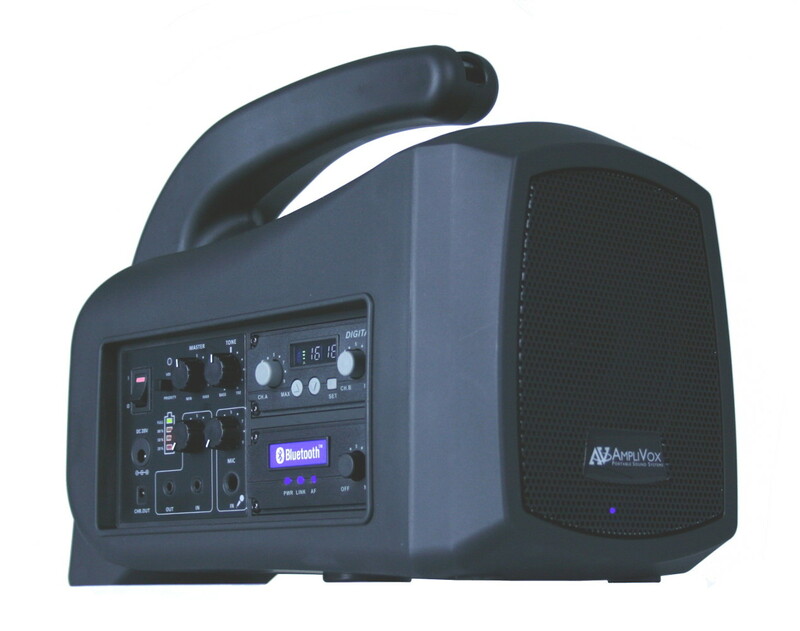 Mity-Lite Plus Portable PA The Mity-Lite Plus compact portable PA system weighs only 8 lbs and allows maximum portability with its small, compact design. You can carry it or set it on a tripod to use for powerful and clear sound that this system offers. 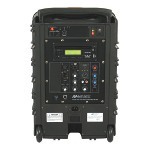 It is a 40 Watt system that can reach an audience size of 500 people in a room of size of up 1500 square feet. 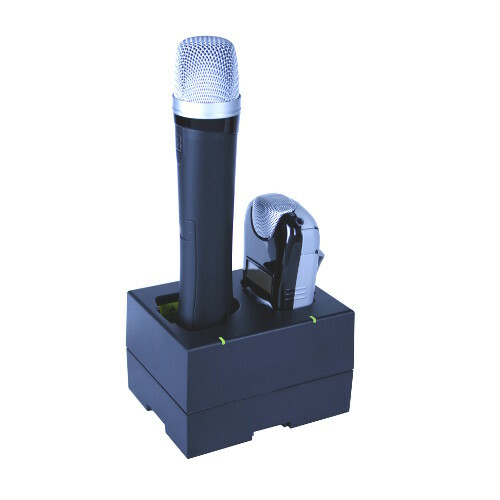 Features include TWO Digital 2.4 GHz wireless microphone receivers, and a built-in Bluetooth module that allows a user to stream music wirelessly with a Bluetooth® enabled device. 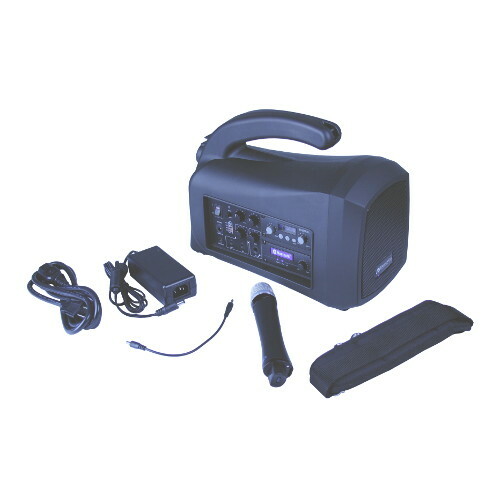 The SW320 Mity-Lite Plus comes with a wireless handheld mic, durable plastic enclosure and easy to operate controls, as well as Aux IN/OUT connections for audio devices like smartphones, CD players or computers. 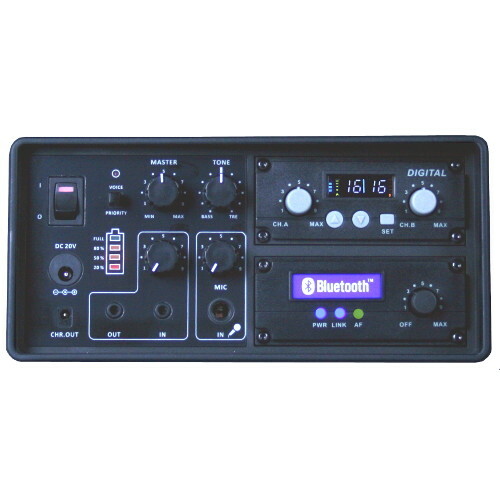 A separate wired microphone connector with volume control is also located on the control panel. 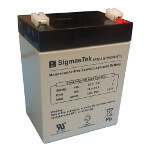 The built-in rechargeable battery lasts up to 8 hours (depends on volume) on a single charge. Recharges in about 7 hours. 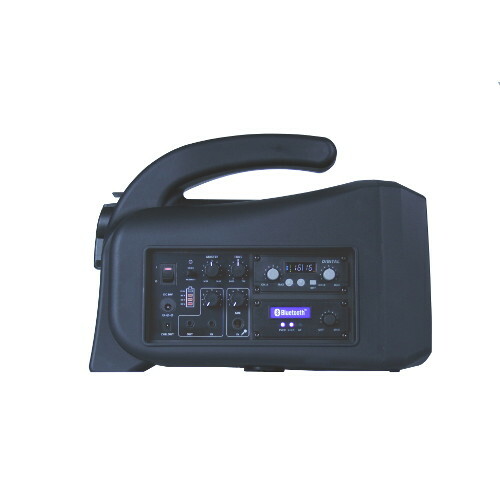 It is also equipped with an intelligent charging system with built-in rechargeable battery that charges while in use with the AC power source. 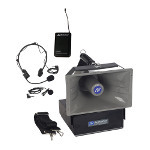 Reach audiences up to 500 in rooms up to 1,500 sq. 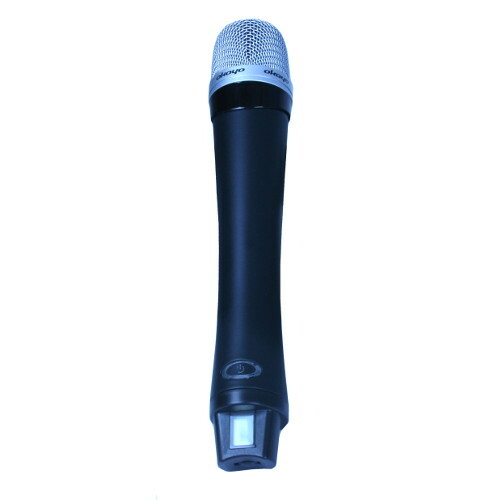 ft.
Auto sync handheld digital 2.4 GHz wireless microphone. 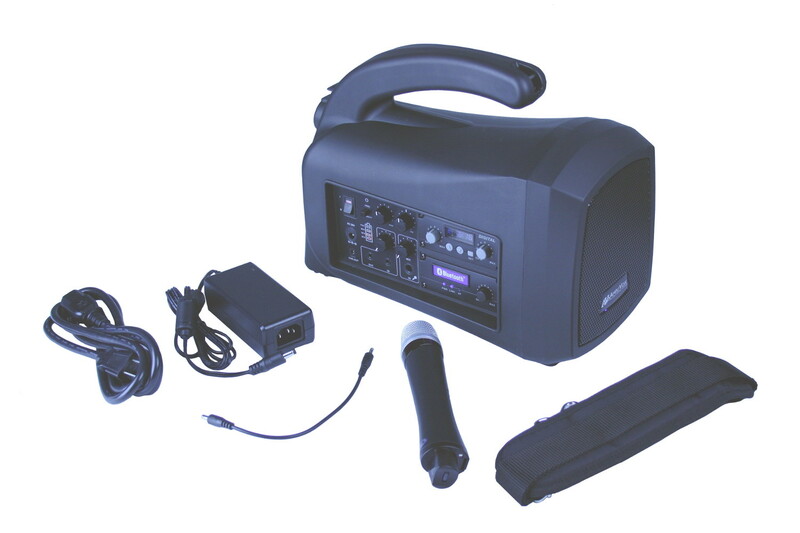 This Wireless Microphone Transmitter will only work with the AmpliVox Model SW320 Portable PA system. 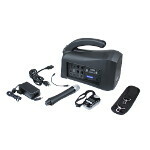 External charging contacts for docked charging (with the S1677 Dual Docking charger). Uses 2 "AA" 1.2V Nickel Metal Hydride (Ni-MH) 2500mAh rechargeable batteries. Not Included. 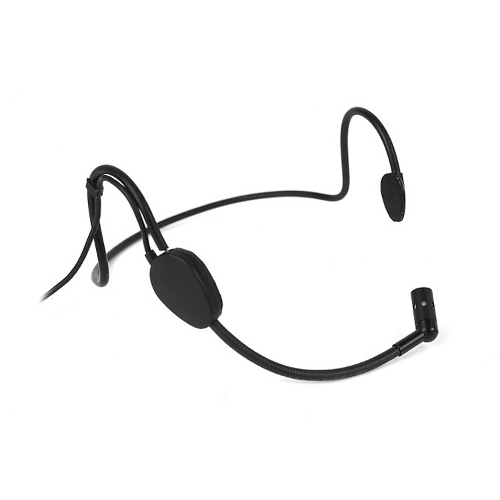 A superior lightweight pendant transmitter with stylish design, it can be worn using neck cord. Dual Purpose. 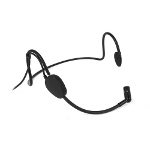 Use as a lavalier / pendant microphone or use as a bodypack transmitter with a headset. 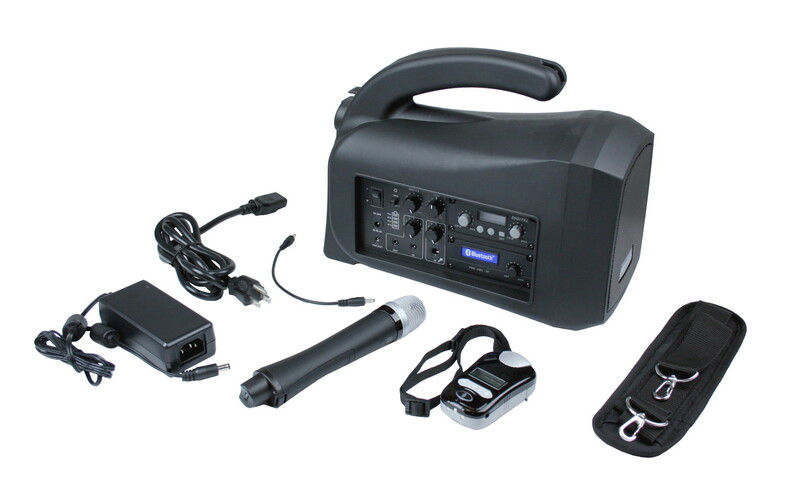 This Microphone Charger will only work with the AmpliVox Model S1676 Handheld Wireless Microphone and the S1678 Pendant / Bodypack Wireless Microphone. 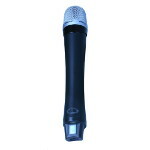 Microphones must be using rechargeable batteries, not alkaline. 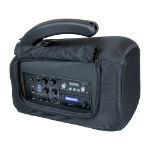 A lightweight Carry / Storage Case for the SW320 Portable PA and includes a separate storage pouch for storing accessories. 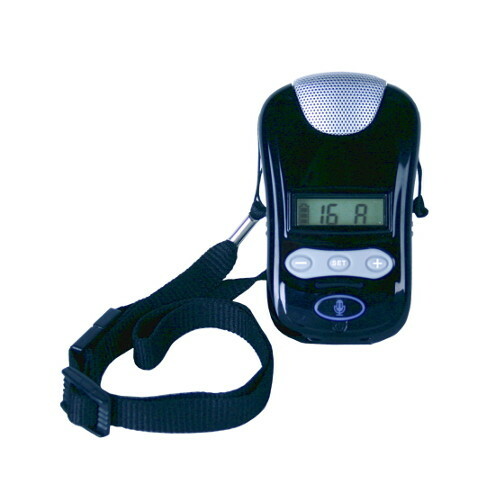 Made of heavy-duty padded nylon that protects against bumps, scrapes and offers protection from the elements. Case has a mesh front and zipper side flap that allows usage with case on PA.
Easy to use light weight floor mic stand keeps your mic close at hand. Fits any standard size mic! 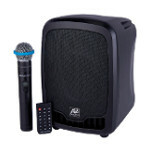 Great for vocal performances, presentations, and much more. 5/8”-27 solid threaded upper shaft. Die-cast zinc mid-point clutch. Clip-on cable holder. 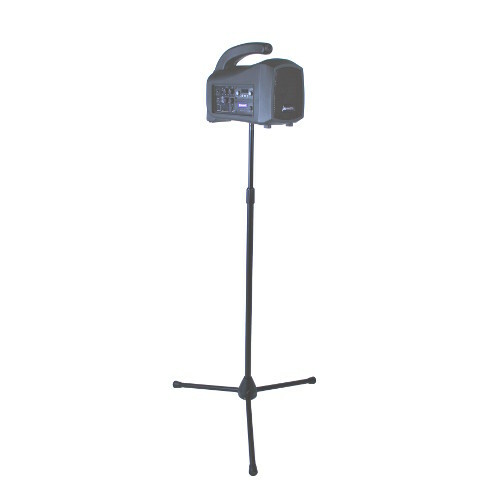 Folding legs with plastic end caps for durability and reduced floor vibrations. 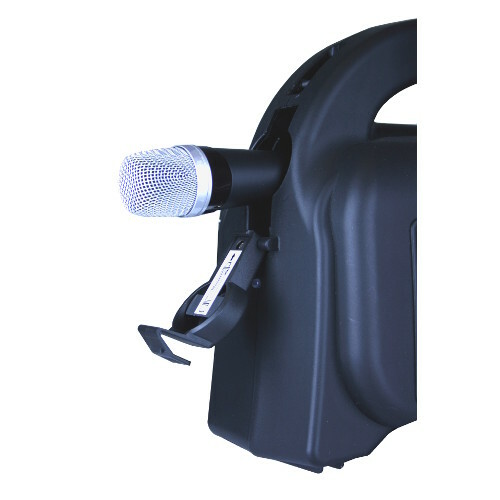 Steel-reinforced plastic leg housing offers less weight and exceptional strength. 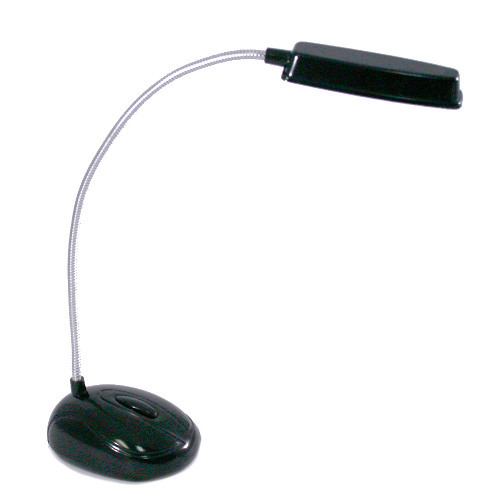 Height Adjustment: 36" - 63"
User replaceable rechargeable battery; provides up to 8 – 10 Hours of usage. 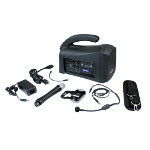 Rechargeable battery powered mini PA you wear like a belt. 44-inch adjustable belt with storage case to protect unit. 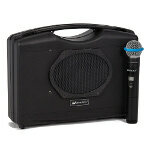 Equipped with a 100 watt amplifier that fills the room, built-in accessory storage & microphone battery recharger. 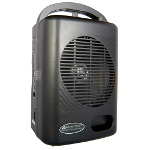 Specifically designed for classrooms and school yards, rugged enough for indoor and outdoor venues.